Briana Thomas has set out to provide healthy versions of her favorite foods, many inspired by dishes common to her Mennonite heritage. 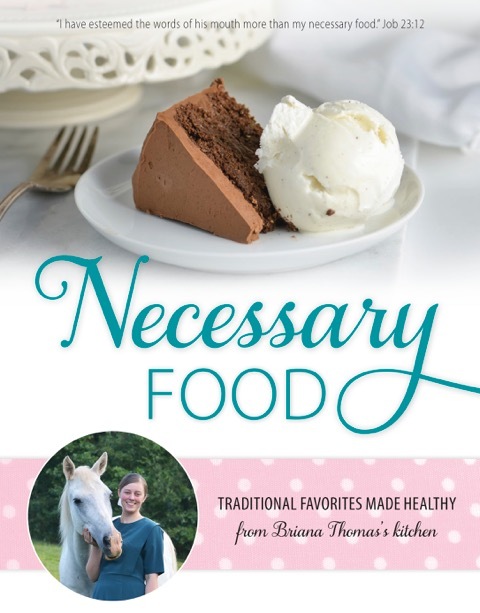 While Briana is known for her ice cream recipes and love of desserts, this book offers a wide variety of recipes from main dishes, salads, and sides to breads, shakes, and breakfast options. All of the recipes are free of refined sugar and white flour and suited for a low-glycemic diet, most are naturally gluten free, and many are friendly to other common food allergies as well. With its emphasis on quick and easy, this book is sure to become a staple in your kitchen.